Freelance writers look for opportunities in all directions to build a successful writing career. 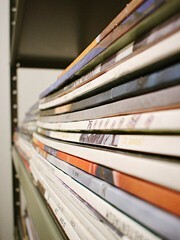 Magazines – either in print or online – can provide an additional outlet for income. Creating multiple income can the key to that writing career that you desire. No matter what direction your writing takes, you have to find a way to catch the attention of the readers – and to get that far you need to make the editor take notice first. There are a few simple tips you can follow that will help you catch the eye of a magazine editor and get your words in print. 1. Study the magazine. Nothing will irritate and editor more than if you offer something they will not use, they just used or that they CANNOT use. Learn the voice of the magazine (do they use contractions for instance). Learn the reader of the magazine. Produce something that will fit their niche. 2. Confession speaks loudest. Use real like examples of how you have overcome, worked through, or utilized the points that you are offering in the article. Write your heart and it will be that readers (including editors) will respond to that effort. 3. Study the market. Look for trends in the niche of the magazine. Avoid repeating the same thing everyone else has said unless you have something new to add or a new spin on the topic. 4. Write in pictures. Go beyond the normal “show not tell” and create word art that reveals the image. Cast a vision that will capture the imagination of the reader. Write in a way that says more and use words that provide multiple shades. 5. Say the most that you can say in the least number of words. Have an opening line that catches the attention of the reader and then make the rest of the article as tight as the first line. 6. Keep the reader guessing. Avoid the clichés and focus on unexpected phrasing and words. The more options you open for your writing the easier it will be to grow a successful freelance writing career. Create solid articles that you can pitch and sale to magazines and see your income begin to expand. Very helpful! Thank you for sharing this. Thanks for stopping in at Successful Freelance Writer. The more we connect, the more opportunities we can discover!